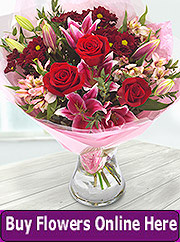 This exceptional florist in Celbridge is JUST perfect for all of your flower delivery and floral needs. Call in today or phone in with your order for delivery in Celbridge and the surrounding areas. To place your order please use the contact details provided near the bottom of this page to call or email. *Prices include delivery charges in the immediate Celbridge area. If you are planning your wedding day arrangements why not contact us for a no-obligation and very competitive wedding flowers quote. 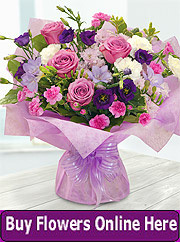 We provide flowers for weddings all over Kildare and beyond - not just the Celbridge area. Nothing is too much trouble. Our phone and email details are below.